Kidnapped and forced to work as a slave for four years in a whorehouse, Scarlett has lived through hell. Of all her traumas, the one that hangs with her the most is her memory of her companion Pixie who didn't make it out. Years later, Scarlett thinks she has moved on. 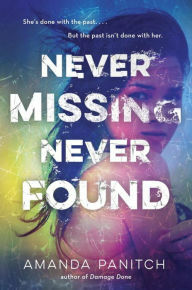 But when a young woman at her new job in an amusement park goes missing, Scarlett is forced to re-live these memories. And as the events unfold, she finds that the woman's disappearance is hardly coincidental. A face from the past has returned to haunt her. Subplots involving a love triangle and rivalries between Scarlett and her sister complicate the picture. It pretty much all comes together in the end, but for most of the read I struggled to link it all (and it took some pretty major plot twists to get to that point!). The twists are a bit improbable and so I'm not sure I liked where we ended up, but it is a sufficiently creepy (and depressing) ending. Probably better enjoyed by the targeted young and mopey.